This morning, I needed a quick way to setup a Git server in my company. I need to get it up and running by today. So I googled around for free (as in beer) solutions. I vaguely remember seen a Git server that resemble GitHub. Too bad I didn’t blog about it that time. So I totally forget about it. There are few blog posts about setting up a Git server. But they required Linux. Which is too bad, because we don’t have spare Linux VM and Ben, our virtualization engineer is on leave today. So I keep digging on Google search result until I found GitStack. The free version only supports 2 users, but the overall pricing is not that expensive, I suppose. I proceed downloading the installer. The file is not too big, just 112 MB. The installation process is straightforward, you just need to ensure that nobody is using port 80. If port 80 is used, not too worry. Just disable/stop the program that use port 80 temporarily before running the installer. 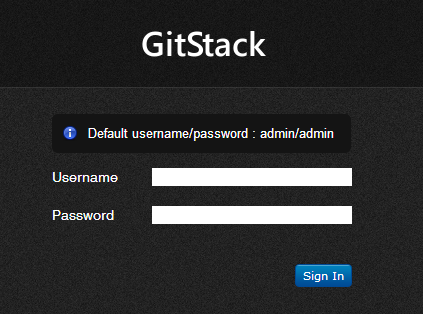 Then enable/run the program again after finish installing GitStack. Once you logged in, you’ll see that the interface is really, really simple. If you can’t use port 80, it’s the right time to change it into something else. I changed mine to 8080. Once you clicked Save, it will ask you reload in the new HTTP port. Next, we need to create users. Again, it is really, really simple. We just need to specify username and password. First, we need to create a Repository. To do this go to Repositories, and input the repository name. Next, we need to assign users. 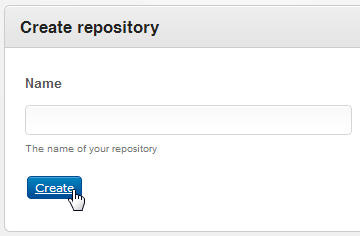 Click the users icon of our newly created repository. On the new screen, you can add/remove users/groups. Again, it’s really dead simple. 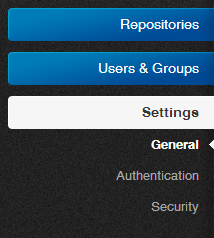 By now, we already have the repository URL and have it assigned to users/groups. You can use this url for your remote repository and push your changes here. GitStack is a very straightforward Git server running on Windows. It’s user interface is dead simple. You really can get it up and running within 15 minutes.